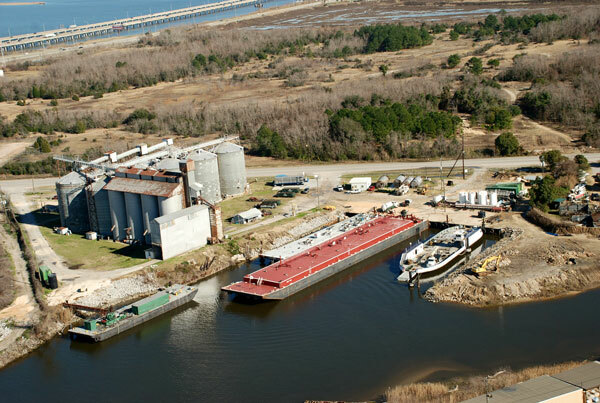 Marine Terminal - Oil Recovery Company, Inc.
ORC’s Terminal is easily accessible and always available to keep water commerce moving. 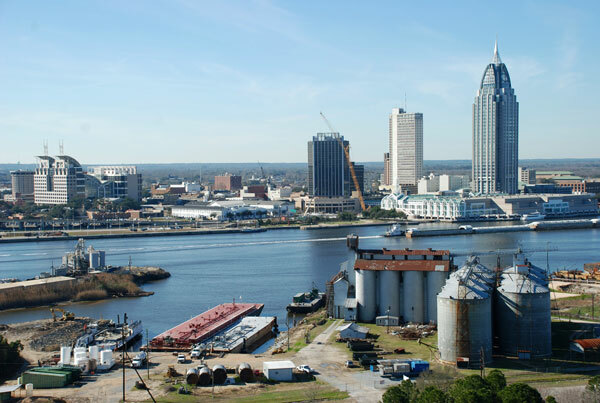 We have direct access from Mobile River, Mobile Bay, Intercoastal Canal and Gulf of Mexico. 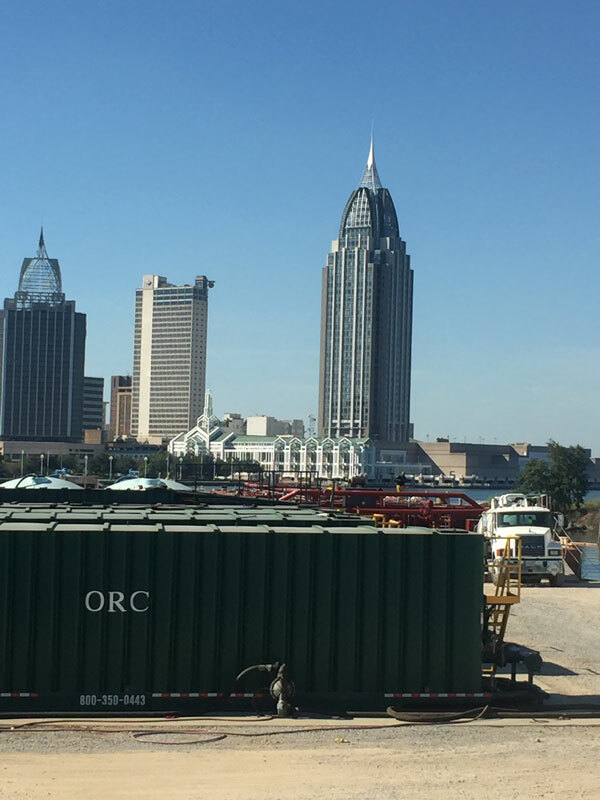 For quick pump offs or large barge cleaning, ORC has transfer equipment, cleaning equipment and storage tanks staged at the terminal. Easily accessible at Mile Marker 0 on east bank of Mobile River (latitude 30° 41.25 N, Longitude 88° 01.90 W). Always available 24 hours a day, seven days a week, 365 days a year. Located in protected waters so you can easily maneuver your vessel in the calm waters. 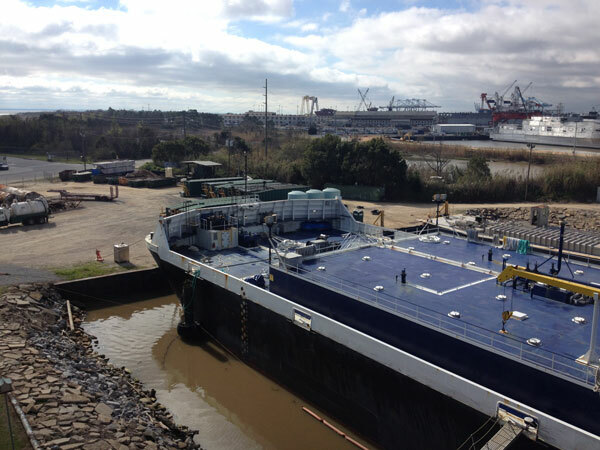 Large enough to simultaneously handle multiple barges up to 300’ in length. Capable of packaging wastes such as petroleum and chemical products for safe handling and transportation under strict DOT guidelines to a proper disposal facility. 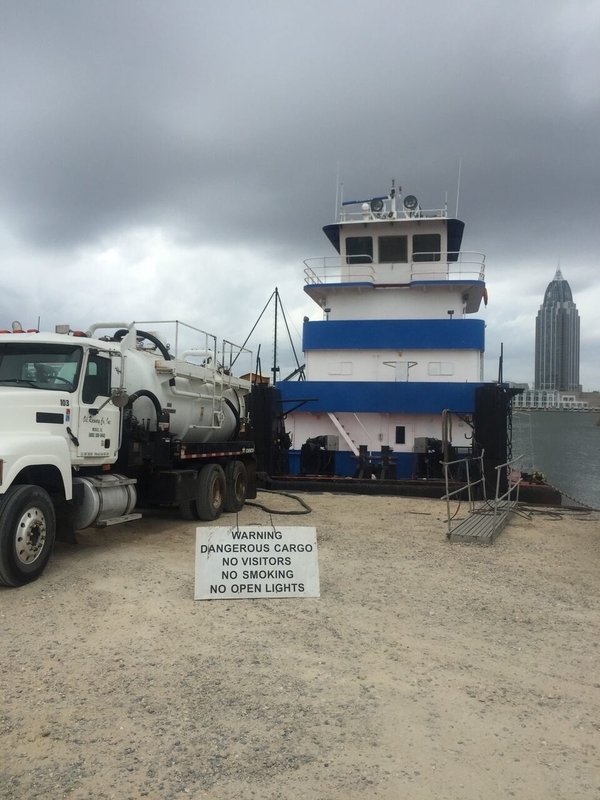 ORC’s turnkey services range from pumping off slops and gas freeing compartments to cleaning your barge for change of cargo. All of ORC’s equipment is portable. We can mobilize it to your location to provide these same services on-site. Easy in and easy out. With a USCG Person-In-Charge, ORC can vacuum the slops and transport them to our permitted water treatment facility for proper disposal. If you have valuable material left in your barge, ORC can vacuum the residual into a clean transporter and deliver it to your location. You need a safe environment to do hot work, maintenance or repairs. ORC can install blowers to introduce fresh air so we can strip and clean the compartments. We can also provide a third-party Marine Chemist to provide a “safe for entry” permit. If your next shipment is different from the previous shipment, the barge needs to be cleaned to prevent cross contamination. ORC can create a safe environment to clean the cargo compartments to your specifications. 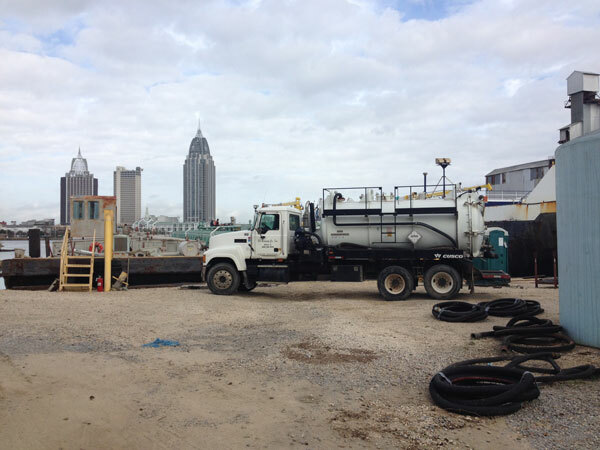 When you need work done on or near your fuel tank, the fuel has to be removed. ORC can transfer the fuel to our single wall or double wall temporary storage tanks. 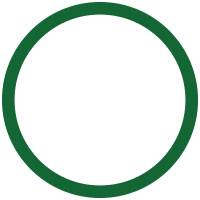 After work is complete, we can filter the fuel while transferring it back to your vessel.